Since Yallwest was approaching swiftly, I really wanted to finish my TBR I had created for it. I rented The Disreputable History of Frankie Landau-Banks from the library last summer but had to return it since I never got around to it reading. E. Lockhart was on my list of authors to meet so I rented it again and actually read it this time! The book was like a giant feminist rant, and I loved it. This was definitely different from the Lockhart’s We Were Liars but still had her style in it. 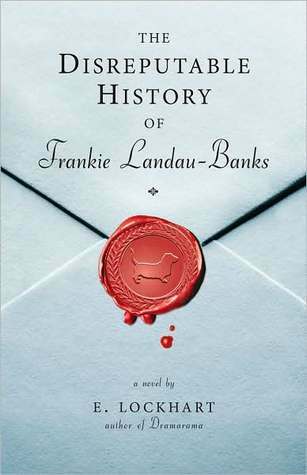 Sign into Goodreads to see if any of your friends have read The Disreputable History of Frankie Landau-Banks.